Aspen Hollow, The Ridge, and Cache, now under contract in Upper Deer Valley. 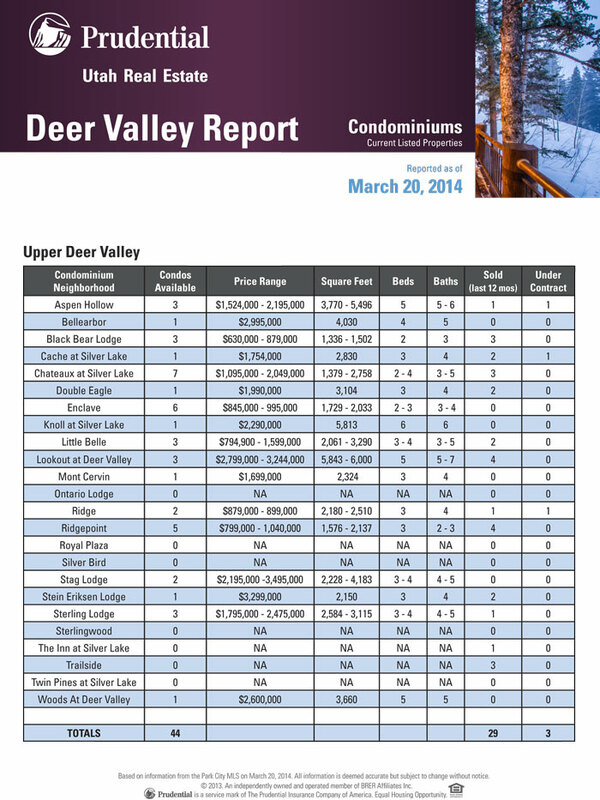 29 closed sales in the last 12 months in Upper Deer Valley condos for sale. Current listings in the Silver Lake Deer Valley area equals 44. Best buy, Bellearbor.